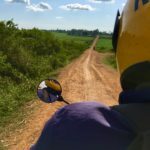 Momentum Trust has some exciting news to share! 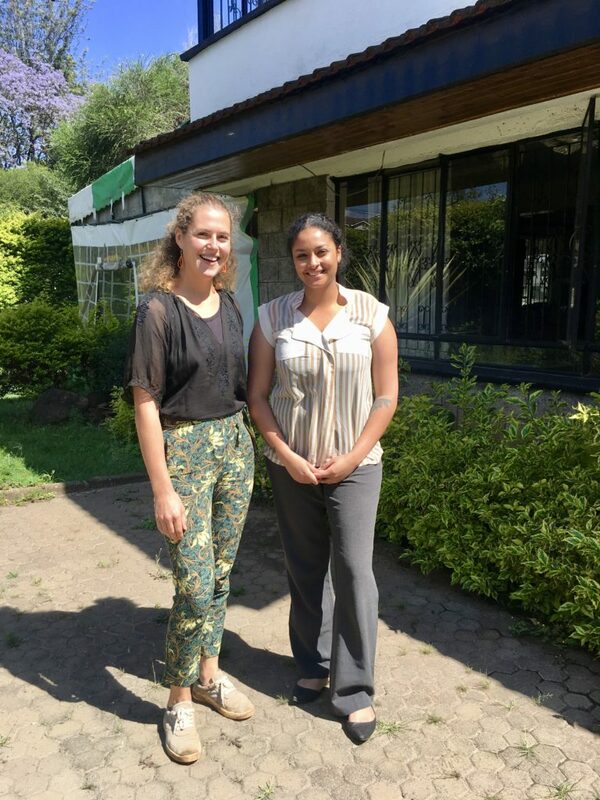 For the past months, we have been in close dialogue with the Kenyan NGO Africa Youth Trust. This dialogue is now transforming into a partnership on a farmer project. As with many things in life, the partnership between Africa Youth Trust (AYT) and Momentum Trust started by a coincidence. And in this case at a bar in Nairobi. Shaila, who works with agricultural projects for AYT ran into Christian, the director of Momentum through a mutual connection this summer. They started to talk about Momentum’s newest project on chia seeds, and soon the talk turned into ideas on how the two organizations could work together to empower more farmers and especially the youth. 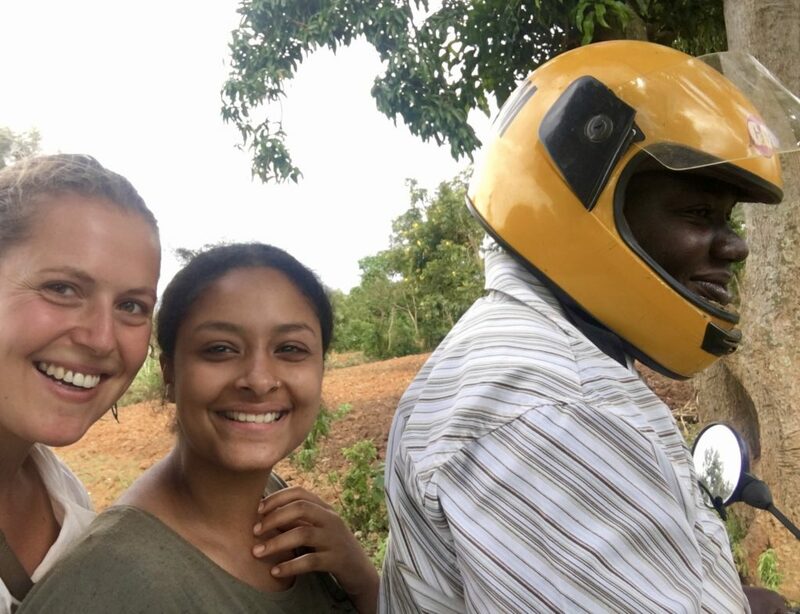 Shaila and Astrid together with Caleb on a boda boda to meet farmers in Siaya, September 2018. Some months later, Shaila travelled across the country: from Nairobi to Siaya. She came all the way to see with her own eyes Momentum’s work in the field. This was a fruitful day, where Shaila met Momentum’s field officers and she went to farmer meetings to hear the farmers’ stories on how and why they work with Momentum. 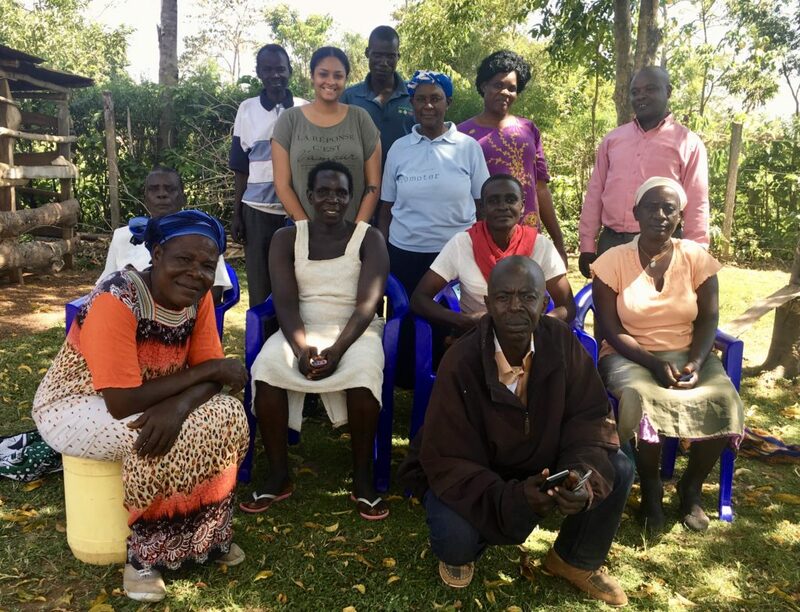 Shaila met up with a group of Momentum farmers in Siaya together with Momentum Trust’s staff, September 2018. 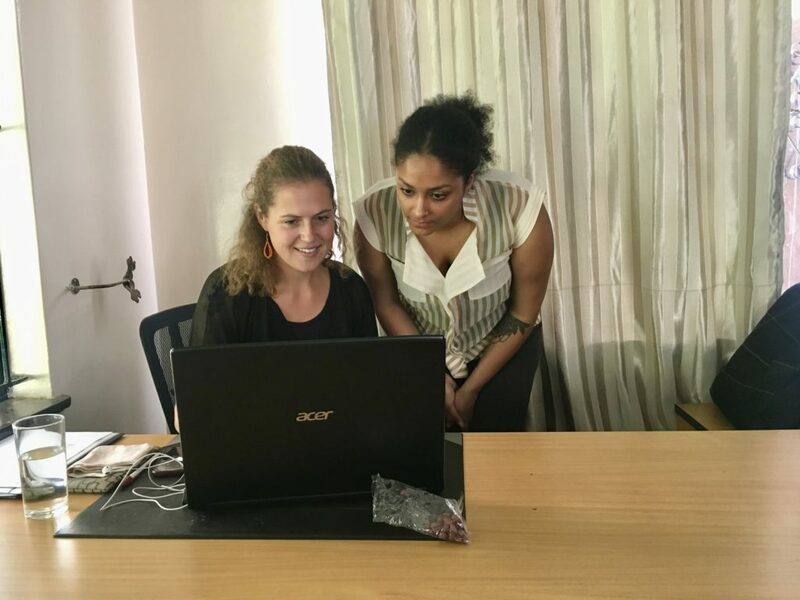 One month later, the Momentum team member Astrid relocated to Nairobi to work with Shaila at AYT’s headquarters in Nairobi. At their office, the partnership is now becoming more formalized. We are these days taking the necessary steps to formulate a concrete project, where AYT and Momentum can combine our forces. By both contributing with our respective fields of expertise, we are certain we can go far together. AYT has opened up their office to share with Momentum Trust. Here Astrid and Shaila work closely together, October 2018. Both organisations are strongly committed to fulfil the UN’s Sustainable Development Goals. The project we are working on together will directly contribute to SDG2: Zero Hunger and SDG3: Good Health and Well-being. In addition, our partnership in itself contributes to the fulfilment of SDG17: Partnerships for the Goals. As a youth-led advocacy NGO, AYT has 13 years of experience working with advancing young people as society’s change agents. AYT works in a range of sectors, among others agriculture. They have the political network to advance the rights of farmers with staff on the ground in the rural areas. Momentum Trust on the other hand has far more practical experience and works directly with the farmers by organizing and training them to advance their farming businesses. With the organisations’ different backgrounds, this partnership has all the ingredients to make 1+1 = 3.